Ukraine's Health Ministry has launched a new module of the LikiControl application to verify availability of medicines in the national list of essential medicines. Deputy Health Minister Roman Ilyk said at a press conference on Tuesday that the new module would allow each person to verify if international nonproprietary names (INN) are placed in the national list using the commercial name of the medicine and patients would be able to see if the medicine was procured using budget funds. "Every patient should know what medicines the state guarantees to him or her, and he or she must receive them in full for the entire course of treatment. Thanks to the new module in the LikiControl application, patients will be able to find out which medicines they are guaranteed free of charge and to find out whether they forgot to say about them in the hospital," he said. In addition, the new module will determine whether the medicine is included in the Affordable Medicines reimbursement program. The application module was developed with the assistance of the International Renaissance Foundation. 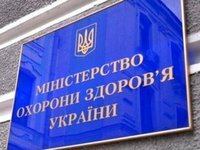 Chairman of the expert committee on the creation of the national list Oleksandr Oleshchuk said that the committee is completing the evaluation of those applications for the inclusion of medicines in the national list, which were filed before January 1, 2018. At present, 427 INN are included in the national list.